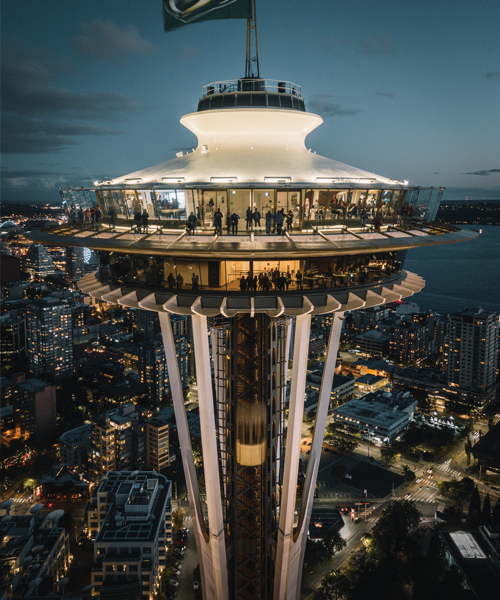 As the iconic tower that defines Seattle’s skyline, the Space Needle (*400 Broad St; spaceneedle.com) is a go-to for world-class views—all the more so since a stunning renovation in summer 2018. Experience the sensation of floating above the city on the open-air observation deck, and dare to look down through the rotating glass floor on the lower deck. Steel your nerve for altitude adjustment at Atmos, the Space Needle’s glass-floor wine bar in the sky. For a few years after it was built in 1962, the Space Needle was the tallest North American building west of the Mississippi. 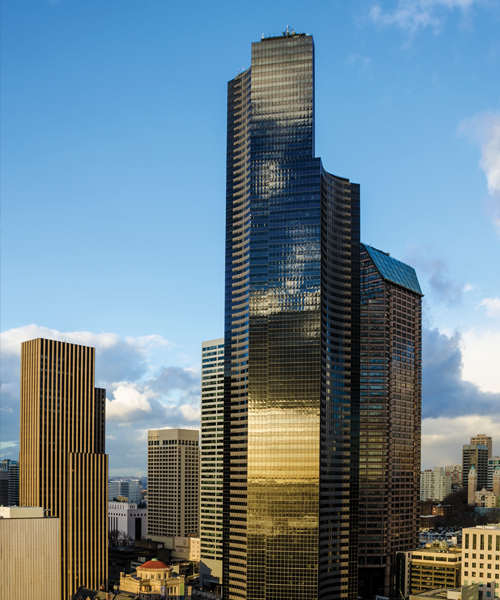 Now it’s dwarfed even in its hometown by the Sky View Observatory (*700 Fourth Ave; skyviewobservatory.com), a 73-story-high, 360-degree lookout and cafe (also recently renovated) in the Columbia Center Tower above Pioneer Square. 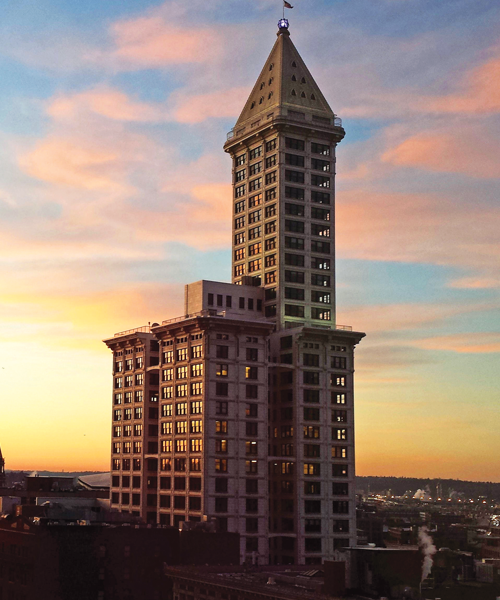 Seattle’s first skyscraper, once the tallest building on the West Coast, is Smith Tower (*506 Second Ave; smithtower.com), where you can still hop into an old Otis elevator and glide to the top. Exhibits along the way up bring you face to face with early Seattle history, and the Observatory features a speakeasy-themed bar to match. For a different spin on the city skyline, catch a ride on the Seattle Great Wheel (*Pier 57, 1301 Alaskan Way; seattlegreatwheel.com). 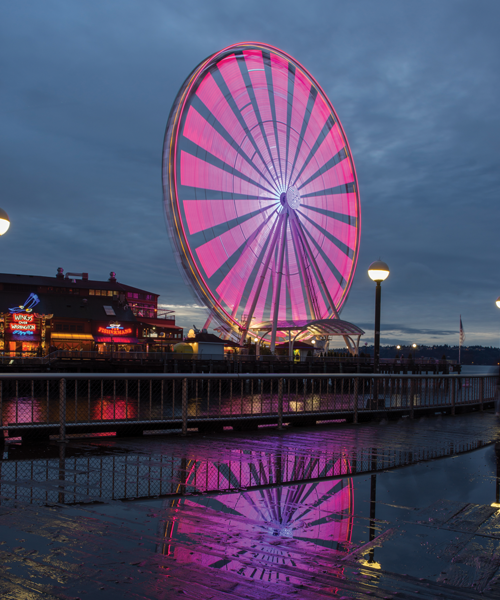 Perched at the tip of Pier 57 along Seattle’s waterfront, this giant Ferris wheel offers far-reaching vistas on clear days and a visual symphony at night, when its neon lights reflect in the ripples of the water below.